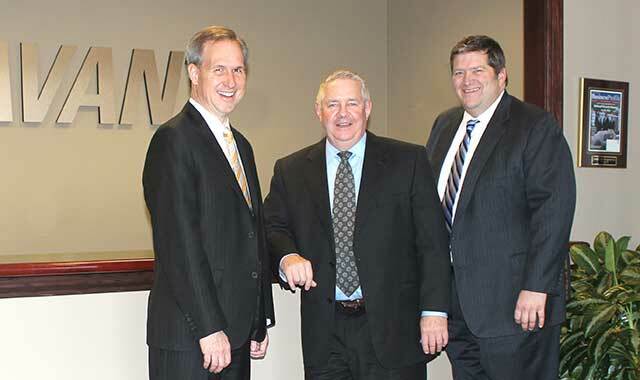 (L-R) Savant Capital Management principals Richard A. Bennett, Thomas A. Muldowney and Brent R. Brodeski believe there’s power in developing personal relationships with clients to better serve their financial needs. Tom Muldowney is not your typical investment advisor. The founder and board chairman of Savant Capital Management, which is headquartered in Rockford, considers himself more a philosopher than a numbers guy. With ease, he can quote “Seinfeld” lines, write poetry and exude joy at helping people to pursue their financial goals. His effervescent personality bubbles with a love for knowledge, philosophy and people. To Muldowney – and, by extension, the people he hires – being a great advisor is knowing clients on a personal level. It’s more about helping clients to gain peace of mind than focusing on balance sheets. The firm Muldowney started in 1986 has taken the same unique, personal approach to wealth management. As this unique investment firm enters its third decade, it remains more committed than ever to building lasting relationships. Savant’s financial advisors offer a wide range of services, from assisting with financial planning, investment portfolios and retirement plans to providing family wealth transfer guidance, tax consulting and private trust management. The company’s financial planning solutions and investment management serve individuals as well as families, foundations, trust funds, retirement plans and nonprofit organizations. Savant continues to expand its services and coverage area. Last year, it acquired firms in McLean, Va., and Winnetka, Ill., along with an accounting firm in St. Charles. That’s on top of existing offices in Rockford, Chicago, Freeport, Geneva, Hoffman Estates, Naperville, Sterling, Peoria, Ill., Madison and Park Falls, Wis., and an existing office in McLean, Va.
Savant serves customers in 49 states as well as in Asia, Australia and Europe, and has received significant local and national recognition. The team manages about $4.4 billion in assets. When Muldowney launched Savant Planning Group in 1986, the investment world was a different place. During the 1970s and ‘80s, advisors tended to focus more on selling products than helping people. Three events enabled Muldowney to introduce a contradictory philosophy: deregulation of financial services in 1975, the computerization of the financial industry in the early ‘80s and the credentialing of individual advisors. Changing the paradigm appealed to Muldowney. Muldowney’s push to focus on relationships and client needs, rather than prepackaged financial products, was a revolutionary business model in the 1980s. Now, it’s becoming more of an industry standard as consumers demand more transparency. “Over the course of 30 years, our friends on Wall Street have found that’s a pretty good game plan, and they’ve started emulating what we started,” he says. Savant still distinguishes itself through personal relationships, backed up by thorough research. A dedicated team of researchers and professionals provide quality guidance and advice on financial actions, allowing the advisor to spend more time building relationships and helping clients to accomplish their unique goals. Building and maintaining trust is at the core of what makes Savant tick. But people can’t build trust without being trustworthy, Muldowney says. Without establishing trust, clients won’t truly open up about their motivations. Savant CEO Brent Brodeski partnered with Muldowney in 1992 to create Savant Capital Management, which combines fee-only financial planning with investment portfolio models. Brodeski is a big believer in client trust. Without it, he says, it’s impossible to truly advocate for a client’s best interests. Muldowney and Brodeski aren’t unique at Savant. They’ve made sure to hire like-minded people. They now have 141 employees scattered through 13 locations. Muldowney says Savant continues to grow because of the reputation it’s built for providing personalized advice and the education to understand that advice. Savant advises a wide range of clients, from the affluent retiree to the new employee. A growing part of the business lies in corporate 401(k) plans, which help people at all levels of a company to invest in the future. At the core of this personal approach to financial advising is a servant’s heart, something Muldowney has infused into the company culture at Savant Capital Management. This entry was posted on Wednesday, May 18th, 2016 at 11:59 am	and is filed under Northwest Business Magazine. You can follow any responses to this entry through the RSS 2.0 feed. Both comments and pings are currently closed.